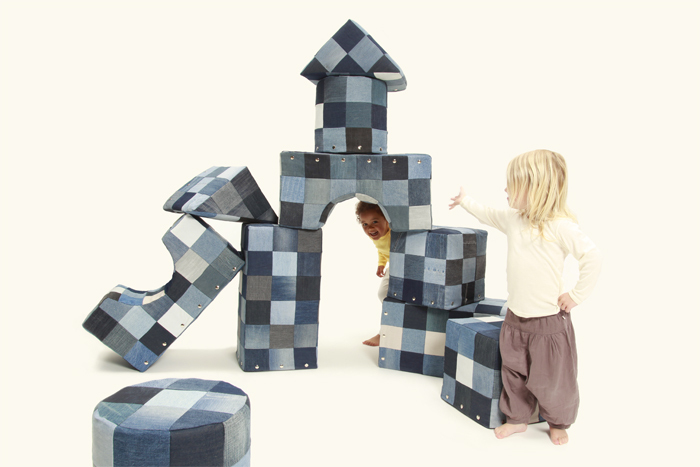 I have my eye on BluBoxx, a Dutch newcomer making educational, sustainable toys using as little energy and as much recycled material as possible. 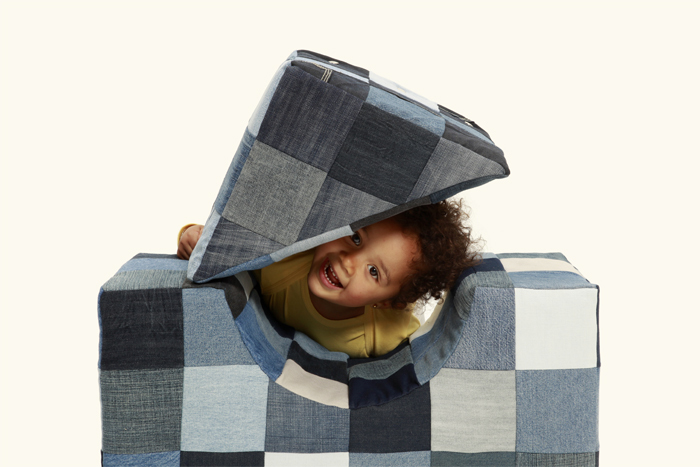 The company will be presenting its first prototype, a giant, five-piece shape set, handmade from foam and decorated with removable, washable patchwork covers created from recycled denim, at DMY12 in Berlin, starting 6th June. A puzzle, a seat, a toy, the BluBloxx is sure to please kids and parents alike. Wow. These are really fun. I want to make a fort with them. I'm really impressed they are made from recycled denim. Great idea. The Birds and The Bees, Yes Please!